All About Autonomy 2019 – How Drones Will Change Everything…. Drone technology has been used by defense organizations and tech-savvy consumers for quite some time. However, the benefits of this technology extends well beyond just these sectors. According to forecasts, the emerging global market for business services using drones is valued at over $127B. As more companies look to capitalize on these commercial opportunities, investment into the drone space continues to grow. A drone or a UAV (unmanned aerial vehicle) typically refers to a pilotless aircraft that operates through a combination of technologies, including computer vision, artificial intelligence, object avoidance tech, and others. But drones can also be ground or sea vehicles that operate autonomously. Below, check out the ways companies are harnessing drone technology for commercial purposes across industries. While drones have been used by the military for over a decade (the Predator UAV is among the most well known), smaller, portable drones are now being used by ground forces on a regular basis. Military spending for this technology is expected to grow as an overall percentage of large military budgets such as the United States’ $640B defense budget, offering specialized drone manufacturers and software developers a tremendous opportunity. Many of the drones are being designed exclusively for surveillance, but others for offensive operations. Prox Dynamics, a military grade UAV manufacturer acquired by FLIR Systems in Q4’16, has become one of the many reconnaissance UAVs used by militaries around the world, including the US Marines, the British Army, the Australian Army, and Norway’s Armed Forces. In addition to the use of new aerial technologies, militaries continue to use unmanned ground vehicles, or UGVs, to lead tactical initiatives. Startup Clearpath Robotics manufactures both UAVs and UGVs and lists the US Department of Defense, the US Army, and the US Navy as clients. Innovations in camera technology have had significant impacts on the growing use of drones. UAVs outfitted with thermal imaging cameras have provided emergency response teams with an ideal solution for identifying victims who are difficult to spot with the naked eye. In 2017, Land Rover partnered with the Austrian Red Cross to design a special operations vehicle with a roof-mounted, thermal imaging drone. The vehicle includes an integrated landing system, which allows the drone to securely land atop the vehicle while in motion. This custom Land Rover Discovery, dubbed “Project Hero,” hopes to save lives by speeding up response times. Startup companies and universities are also designing systems intended for search and rescue. Flyability, developer of a collision-tolerant UAV, has performed particularly well in confined areas with limited lines of sight — environments often encountered by emergency response teams. Additionally, Delft University of Technology has tested an ambulance drone that could deliver defibrillators on demand. By extending existing emergency infrastructure, drones may be able to dramatically increase survival rates in both rural and urban areas around the world. In addition to emergency response, drones have proved useful during times of natural disaster. In the aftermath of hurricanes and earthquakes, UAVs have been used to assess damage, locate victims, and deliver aid. And in certain circumstances, they are being used to prevent disasters altogether. To help monitor and combat forest fires, surveillance drones outfitted with thermal imaging cameras are being deployed to detect abnormal forest temperatures. By doing so, teams are able to identify areas most prone to forest fires or identify fires just 3 minutes after they begin. While recreational drones are strictly prohibited in active forest fire regions, they have proved useful when operated by the appropriate teams. Poaching and climate change have a dramatic impact on the health of wildlife worldwide. Fortunately, conservationists are adopting innovative methods to protect and study our global ecosystems. In combination with geospatial imagery, drones are now used to monitor and track animals, while UAVs are also used to tag animals and collect samples. DJI Innovations has been a leader within the conservation space, allowing teams to conduct research without disturbing natural habitats. The Ocean Alliance is an example of an organization that has used drones (such as the marine SnotBot) to collect samples — specifically, mucus from whales. In addition to facilitating research on ecosystems, drones can also allow conservationists to track and incarcerate poachers. Tracking animals also allows researchers to track disease. Drones with thermal imaging cameras have been used by the London School of Hygiene and Tropical Medicine to track macaque movements in the province of Palawan in the Philippines — a region where malaria is an active threat. The ability to follow these animals provided further insight into the possible movement of infectious disease and its jumps from animals to humans. In a similar vein, Microsoft is also leveraging drone technology to capture and test mosquitoes for infectious disease. Ideally, this intelligence could be used to protect local residents, and in the future could be used to prevent epidemics before they begin. Modern medicine has had a profound impact on preventing disease, increasing life expectancy, and raising general standards of living. However, access to modern medicine has been rather difficult in many rural regions around the world. While medical supplies can be delivered by traditional means, certain circumstances call for quick access to drugs, blood, and medical technology — a need drones could fill. One of the most prominent venture-backed medical delivery companies is Zipline International. Zipline has launched delivery drones in rural areas throughout Africa and continues to expand its reach. Flirtey drones have also been used to deliver medicine. Intrinsically, our health is tied to the food we eat, with agriculture playing an important role in our well-being. Additionally, farmers are striving to reduce costs and expand yields. With the use of drones, agricultural workers are able to gather data, automate redundant processes, and generally maximize efficiency. Raptor Maps, a leader in agricultural analytics, relies on drones to help farmers better understand their potential harvest. After cultivating healthy crops, the process of harvesting is repetitive, time-consuming, and detail oriented. To address this, equipment manufacturer Case IH has built an autonomous tractor, while Abundant Robotics is developing a solution for autonomously picking produce. Planting crops can be an equally tedious and energy-intensive process, but companies like DroneSeed are tackling this problem at 350 feet per second. In a research capacity, drones have also been used to pollinate flowers, and could one day prove helpful in compensating for the declining bee population. As climate change continues, scientists are leveraging new forms of hardware and software for data collection. Today, most data is collected through stationary structures or captured with geospatial imaging solutions. Drones, however, offer a versatile solution that can physically follow weather patterns as they develop. In addition to aerial vehicles, unmanned surface vehicles (USVs) are changing the way data is gathered. Saildrone has developed an autonomous sailboat that collects oceanic and atmospheric data from the ocean surface. The data collected has been used to better understand our environment and imminent weather trends. Atmosar gathers and analyzes weather data to maximize UAV flight duration and stability. Navigating oceans and ports requires an immense amount of expertise and labor from the estimated 1.65 million people serving on international merchant ships today. But with increasing amounts of oceanic data and innovations in autonomy, unmanned marine vehicles could become the standard for maritime shipping. Rolls-Royce has already completed a number of trials with unmanned vessels controlled remotely. Inspecting ships is also an important and regular part of the industry. While Rolls-Royce plans to use smaller UAVs to inspect ships above the surface, Orobotix has designed an underwater drone used to inspect hulls from below. Recycling and biodegradation have dramatically improved global waste management. However, innovations in waste collection are still emerging. Fortunately, drones operate at the forefront of these initiatives and have helped to clean our oceans. RanMarine operates a Roomba-like unmanned marine vehicle used to collect waste in ports and harbors, while RedZone Robotics focuses exclusively on wastewater management. While alternative energy has become increasingly popular, fossil fuels still remain the world’s primary energy source. Inspection of the infrastructure used to extract, refine, and transport oil and gas is an important aspect of the industry. Regulation requires certain standards to minimize the risk of environmental damage. With the use of drones, much of this inspection work can be done remotely and safely. Sky-Futures is a UAV company focused on oil and gas inspection, and is used by many of the world’s largest oil companies to inspect offshore rigs. 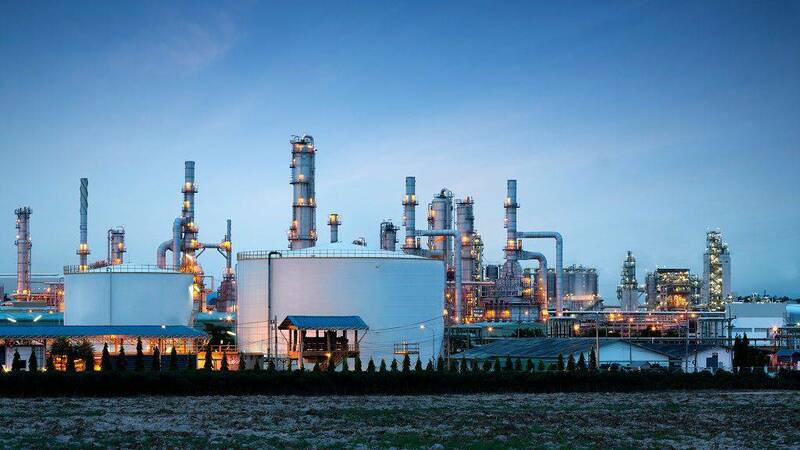 SkyX Systems also focuses on oil and gas inspections, but specializes in pipeline assessment. Cyberhawk Innovations, meanwhile, offers solutions for both fossil fuel energy and alternative energy providers. Mining is a capital-intensive venture that requires constant measurement and assessment of physical material. Stockpiles of ore or rock or minerals are difficult to measure. But with unique cameras, drones are able to capture volumetric data on stockpiles and survey mining operations from the air. This reduces the risks associated with having surveyors on the ground. Airobotics provides an industrial grade on-site drone solution used by mining companies for measuring materials, surveying operations, and general security. The system is fully autonomous and stored in on-site housing that can autonomically swap cameras and batteries. Mining is also being disrupted by autonomous vehicles, such as the unmanned ground vehicle (UGV) designed by Komatsu. Similar to many other drones today, these vehicles can be controlled remotely without a line of sight needed. One of the most popular commercial use cases for drones is construction planning and management. Software developers have created solutions that analyze construction progress with regularly captured data. While ground surveying is still a critical part of construction planning and monitoring, the use of drone data has become increasingly important. Camera technology is used to monitor buildings and gauge topography and soil type throughout the construction lifecycle. Skycatch offers these solutions in a monthly software subscription. 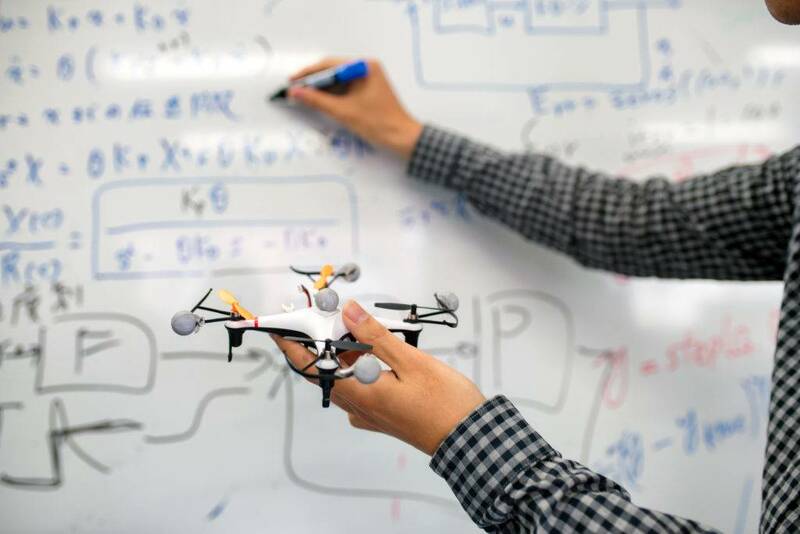 Their software can pair with a self-manufactured Skycatch UAV, or with a number of DJI drones. Dronomy offers a similar suite of software solutions intended to enhance project monitoring and site management. While drones serve a useful and immediate purpose in construction planning and management, they also have the potential to be used to develop physical infrastructure. ETH Zürich, a university in Switzerland, partnered with roboticist Raffaello D’Andrea and architecture firm Gramazio Kohler Architects to create a structure built entirely by UAVs. By programming the drones to lift and stack thousands of polymer bricks, the team was able to create a geometric structure nearly 10 meters high. The finished product serves as a concept for a “vertical village” that would employ a similar structure, which would be built by larger drones. Insurance inspections are a core area where insurance companies can leverage drones. Traditionally, inspectors and assessors for property insurance would scale structures to conduct manual inspections of properties, but now drones can provide an equally detailed assessment with high-resolution cameras. While damaged or defective property still requires the attention of a physical inspection, UAVs are beginning to have an impact there as well. Drone companies focused on the insurance industry include Converge Industries, which has helped ease the work of insurance inspectors, and Kespry, which has partnered with Farmers Insurance to scale its offerings in the space. Drone startups transforming unstructured environments are reshaping the ways we collect data, transport goods, and protect our property. Look for Drones in the Collections tab. Drones have been beneficial in capturing pictures of high-value properties, showing that even the real estate industry can be upended by drone technology. DroneBase offers on-demand photography solutions (among others) for a number of different industries, including residential and commercial real estate. While low-cost aerial photography is being leveraged to take images of a property’s exterior, home interiors are also being captured by small, agile UAVs. Zaw Studios, a media company based outside of Los Angeles, uses drones to capture immersive 360-degree photographs and videos within large homes. The finished product provides potential buyers with a perspective that replicates a physical walk-through. As urbanization continues, cities are having to adapt to larger populations and chronic congestion. Urban planning has become increasingly important for cities, but requires a thorough understanding of metropolitan rhythms and flows. With the use of drones, urban planners are able to better understand their environments and implement data-driven improvements. Engineering consulting firm Arup has used drones to gather data in population-dense areas, allowing users to better understand their urban habitat. With many municipalities on limited budgets, drones notably provide a low-cost way to capture invaluable urban data. Specifically, drones have helped city planners determine which areas may benefit most from green space, without causing further congestion. While our definition of drones is typically limited to unmanned vehicles, certain forms of autonomous transportation should be considered drone transportation. For example, EHANG has built an autonomous aerial vehicle (AAV), which operates with four rotors (quadcopter) for vertical takeoff. The vehicle can transport passengers between destinations, even in an urban environment with plenty of obstacles. The AAV requires minimal passenger input and incorporates fail-safe functionality or built-in systems for safe landings in case of engine failure or collision. Lilium Aviation also looks to build an autonomous aerial vehicle for passenger transportation, but leverages a design more comparable to a Harrier Jet or F-35 than a quadcopter drone. Compliance is a challenge for many industries, but the airline industry must adhere to particularly stringent levels of regulatory standards. FAA inspections vary in comprehensiveness, but basic inspections are conducted after every 125 hours of flight time. Additionally, airlines are expected to conduct their own routine inspections before every flight. 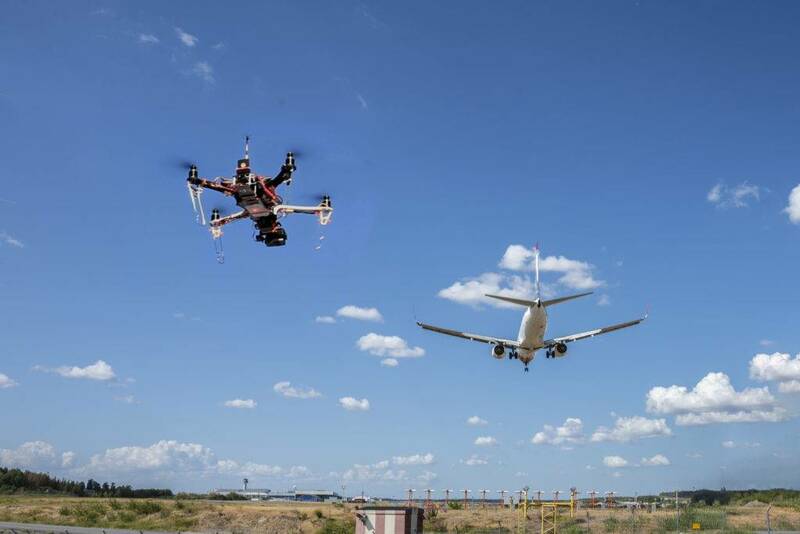 In an attempt to improve this process, Intel partnered with Airbus to conduct exterior aircraft inspections with UAVs. Intel supplied the drones (gained through their acquisition of Ascending Technologies in 2016), which are outfitted with cameras that allow them to collect images and data that can be used to create detailed, 3D-models of the Airbus fleet. Airbus has also launched its own drone subsidiary called Airbus Aerial, which looks to provide inspection solutions across a variety of industries. Canard Drones, meanwhile, provides inspection solutions for airports rather than aircrafts. Telecommunication towers also are inspected frequently to ensure service reliability. In the aftermath of Hurricane Harvey, AT&T and Verizon launched drones in Houston, Texas to inspect their towers — a process which would have been too dangerous and time-consuming to do manually. These drones were able to quickly assess damage so that repair teams could be deployed to restore service. In many cases, service was restored in hours rather than days. Skyward, an inspection drone company purchased by Verizon in Q1’17, provides a Drone-as-a-Service software platform that helps commercial drone operators in a variety of industries. Given a recent run of natural disasters, this proved to be a particularly beneficial acquisition for Verizon. With the world’s largest technology firms vying for our time and attention, the need for global internet access is becoming more and more central to business models. Facebook experimented with a solar-powered drone called Aquila, which planned to provide internet access to rural parts of the world. Aquila was a core component of Facebook’s Internet.org initiative before stopping development in mid-2018. Google initially acquired solar-powered drone company Titan Aerospace to provide UAV-powered internet (similar to Aquila), but the venture proved challenging. They have since pivoted toward a weather balloon-like design (Project Loon) that will provide internet access from the stratosphere. In the consumer area, an early application for drones was as a recreational tool for the great outdoors. Between aerial landscape photography and extreme sports footage, UAVs changed the way people experienced the planet. Today, drones are being used for more than breathtaking photos and award-winning film. SenseFly, acquired by Parrot in Q3’12, has had its drones used to create a 3D rendering of the infamous Matterhorn peak in Zermatt, Switzerland. Drones were able to map the entire mountain face in less than 7 hours. These types of models are used by climbers and skiers to better understand the terrain. Not only have drones transformed the way hotels conduct marketing, but they may also transform our notion of luxury accommodations. Design firm HOK envisions drone hotels that can travel to unique locations on demand. These modern structures could fly to remote and traditionally inaccessible locations for guests. Traditional hotels are also adopting drones, such as Unsupervised AI, which uses drones to deliver packages and room service quickly and autonomously. Drones have already had an impact on event surveillance and event photography/film, but are also being used more directly to entertain. Disney has been one of the more active companies in this space, and has filed for a number of drone patents focused on entertainment. Synchronized lights shows, floating projection screens, and drone puppeteers have all been considered by the entertainment giant. Verge Aero is one example of a private player creating live, synchronized drone performances for audiences. Skycam, a robotic camera suspended from a cable-driven, computerized transport system, changed the way viewers experience televised sports. The camera provides up-close and personal perspectives that traditional, stationary cameras cannot capture. Today, Skycam is a necessity for any professional arena sports broadcast. Drones, however, are becoming increasingly popular for professional sports outside of the stadium. AeroCine (or Aerobo), for example, offers live sports broadcast services that have been used in a number of live and recorded TV broadcasts. In addition to traditional sports, drones are influencing sports of their own. The Drone Racing League is a global drone-racing series that uses cutting-edge technologies to stream exciting content that can be shared with millions. One of the first industries to adopt drones was professional film. Drones have allowed producers to capture dramatic aerial perspectives without the use of helicopters. This has had a dramatic impact on Hollywood’s bottom line, pushing the limits in cinematography. As the adoption of this technology has grown, the FAA and MPAA have worked together to establish procedures for regulating commercial drone use within the space. 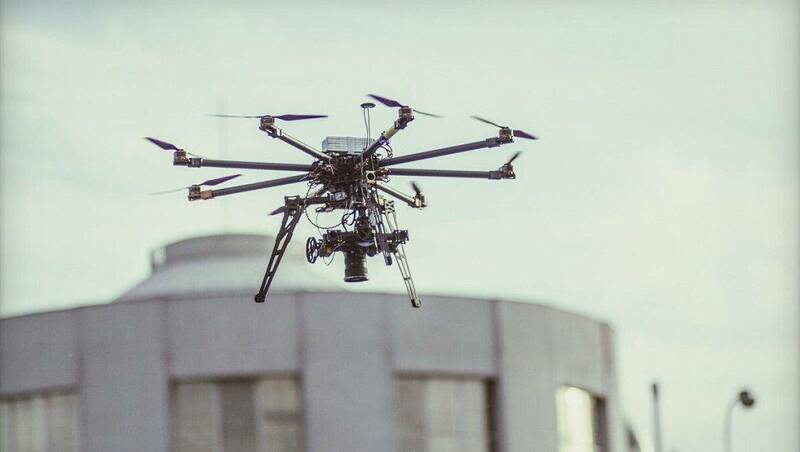 Aerial MOB, acquired by 5D Robotics in Q2’16, has used drones to film content for movies like The Circle, Guardians of the Galaxy, and La La Land, among others. They have also used drones to film a variety of advertisements, including content for Apple Music. In addition to filming advertisements, drones are being used as physical mediums for marketing. They can power aerial advertising at live events or high traffic locations. DroneCast has developed services for banner advertising and has delivered Ford-branded knickknacks to patrons at auto conventions. Hoovy.co, similarly, is focused on disrupting banner advertising. Drones are being used to deliver goods from local retailers and fulfillment centers. Amazon is notorious for their innovations within the space and focus on fulfillment & logistics. The giant’s patent activity related to drones is frequent and often newsworthy. Private markets are also flourishing with investment activity looking to increase both land and air delivery efficiency. Matternet has made efforts to combine delivery vans with aerial drones, while Starship Technologies is building a fleet of self-driving robots designed to deliver goods locally within 30 minutes. Robotics play an essential role in today’s assembly lines. And while drones may perform best in unstructured environments, they can nonetheless play a part in modern-day manufacturing. From raw material discovery to assembly line inspection, drones may take on tasks too difficult for large, pre-programmed robots and too dangerous or intricate for humans. In addition to manufacturing and delivery, drones can be used within warehouses and fulfillment centers for inventory management. Recent research out of MIT outlines an inventory system that leverages drones to communication with battery-free RFID technology. Drones could be used to locate and measure inventory within a network of individual sensors located on or in containers around the facility. Though drone technology has many positive uses, it has also been used to conduct illegal activities. In particular, drones have been used to transport drugs across international borders. Large drones, like DJI’s Matrice 600, span nearly 5.5 feet and are designed to carry heavy Hollywood cameras. With flight times of 18 – 40 minutes (depending on the weight of payload) and top speeds of 40 mph, drones are ideal for transporting illicit cargo. On the flip side of the coin, drones are also used by law enforcement for surveillance and crime prevention. From wearables to 3D body scanning devices, fitness technology aims to make training and exercise regimens more personalized by tracking physical activity and biometrics. But to move from tracking to coaching, several new devices are emerging to provide feedback and guidance while users exercise. Drones could enhance the digital coaching experience by following users as they exercise and collecting video data of their workouts. There are already several consumer drones on the market that can be programmed to follow their owners, including FlyPro‘s XEagle Sport drone, DJI‘s Mavic Pro, and Ehang‘s Ghostdrone 2.0. For the visually impaired, drones could make exercise programs more accessible. In 2015, an associate professor of computer science at the University of Nevada, Reno’s Human Plus Lab built a prototype drone that guides blind runners. The drone — which guides runners by sound — is equipped with one camera that follows the lines around the track and one that focuses on a marker on the runner’s shirt. It flies approximately 10 feet in front of the runner, and can adjust its speed to the runner’s pace. Online food ordering and delivery services are enabling fast casual restaurants to downsize their physical locations and lower real estate expenses, but delivery commission costs are still weighing down profits. Some restaurants are looking to use drones for faster, cheaper delivery. Iceland-based AHA, an e-commerce platform with a food delivery feature similar to Grubhub, partnered with Israeli drone logistics company Flytrex in August 2017 to set up a small delivery route in Reykjavik. AHA and Flytrex use hexacopters to deliver food directly across a bay of the North Atlantic Ocean that delivery drivers normally have to circumvent, significantly cutting delivery time. The company plans to add more delivery routes in the future. Drones seem to be gaining traction with pizza delivery, specifically. Domino’s partnered with startup Flirtey in November 2016 to make the first-ever commercial pizza delivery by drone. The pie was dropped off to a couple in New Zealand. In 2018, HBO teamed up with brand delivery agency Fooji and Drone Dudes to send pizzas to fans of its show Silicon Valley. Drones also have potential to change the way food is delivered inside the restaurant. In 2015, Infinium Robotics developed a drone waiter known as the Infinium-Serve to address Singapore’s service staff shortage. The drones can carry up to 4.4 pounds of food and drink, which equates to about two pints of beer, two glasses of wine, and a whole pizza. Similarly, in 2016, a Dutch university opened a pop-up cafe that used drone waiters to take and deliver customer orders. News outlets are using drones to add context and understanding to news stories, enhance production value, and improve documentary storytelling. CNN reportedly has the most advanced drone program — called CNN Air — of any US news outlet. The network reports flying hundreds of missions in more than 20 countries. Footage collected by its drone fleet contributes to CNN’s core news report, its Great Big Story initiative (dedicated to creating micro documentaries and short films), and other projects for Turner and Time Warner. CNN is currently working on leveraging data collected by its fleet to create digital models of areas the drones fly over. It also added body heat-detecting cameras to some of its drones to locate people using thermal imaging, and has plans to use virtual reality cameras and live graphics overlay in conjunction with its drones. Airbus uses drones in routine plane inspections. The company captures data and images of its aircraft to help analyze the condition of the planes. But drones are influencing other aspects of air travel as well. Passengers traveling with drones must adhere to certain rules about storage of the devices’ lithium-ion batteries and sharp components such as propellers. Rather than simply packing their drones into their suitcases, travelers need to educate themselves to safely and legally transport the machines. Drones have created another set of safety concerns as well. In late December 2018, London’s Gatwick airport closed for 36 hours due to drones flying nearby. British authorities said they believed whoever was flying the drones was deliberately interrupting flight traffic, which is against the law in England. Nonetheless, the challenge of identifying the person or persons behind the disruption highlights the difficulties of regulating drone activity more broadly. Drones now play a dual role in gaming — as game components and as tools for developing them. The company Drone n Base sells gaming packages that allow players to wage drone races as well as engage in high-tech battles via augmented reality. Furthermore, the Aerial Sports League has been on the drone games scene since 2012. The company hosts drone combat and racing events, some of which offer significant monetary prizes. Video game production companies are also using drone technology to develop hyper-realistic maps and other components for their games. Drones offer companies an opportunity to gain access to vast areas of terrain and outdoor elements that allow for richer, more well-developed game visuals. 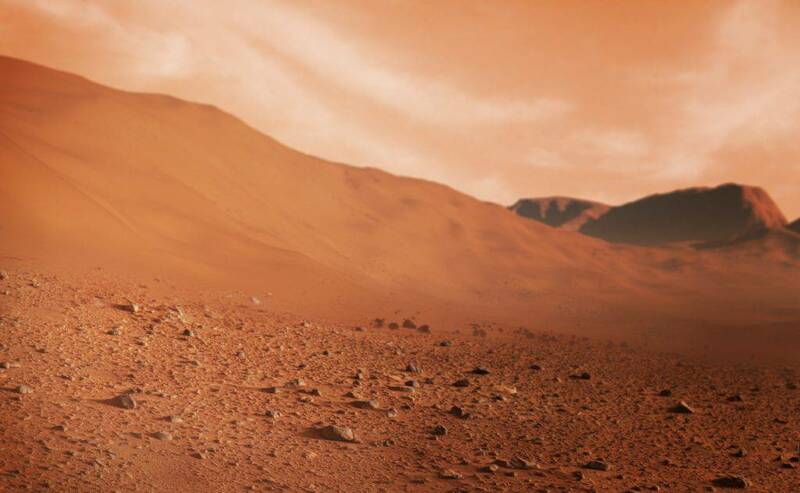 NASA announced in May 2018 that a robocraft helicopter would be used in the Mars 2020 mission to find out whether there has ever been life on Mars. The helicopter will serve as a scout for the rover, gathering data about the planet’s terrain and surveying areas the rover cannot reach. The small device (it weighs less than four pounds) is experimental, and if it proves useful during the mission, it could open the door to other aerial devices being used in space exploration. Drones may soon be popping up in classrooms, as educators embrace the potential for teaching a wide range of skills and supplementing more traditional lessons. For instance, math teachers might use drones to help students understand proportional relationships, while English teachers might jump-start kids’ language skills by using drone photography to inspire writing exercises. Introducing these devices can create unique, tangible experiences that keep students engaged and retaining information in new ways. Security companies are using drones to provide more comprehensive surveillance systems for industrial, commercial, and residential properties. One company, Nightingale Security, enables clients to establish repeatable pathways that the drones can travel daily, monitoring key security areas. The same service deploys drones with live streaming capabilities immediately after an alarm is triggered, allowing the security team and clients to obtain key footage of a potential breach. Another business is exploring the use of drones in combination with sensors that would pick up potentially suspicious activity and then signal the aerial device to fly to that particular location.